The Andhra University declared the Bachelor of Science (B.Sc) 4th semester exam result today on August 31st Thursday. The university conducted the examination on the May month of this year, 2017. All the students who all studying the same under the Andhra University have appeared on the examination. Now, the result of the examination has declared officially on the Andhra University website. 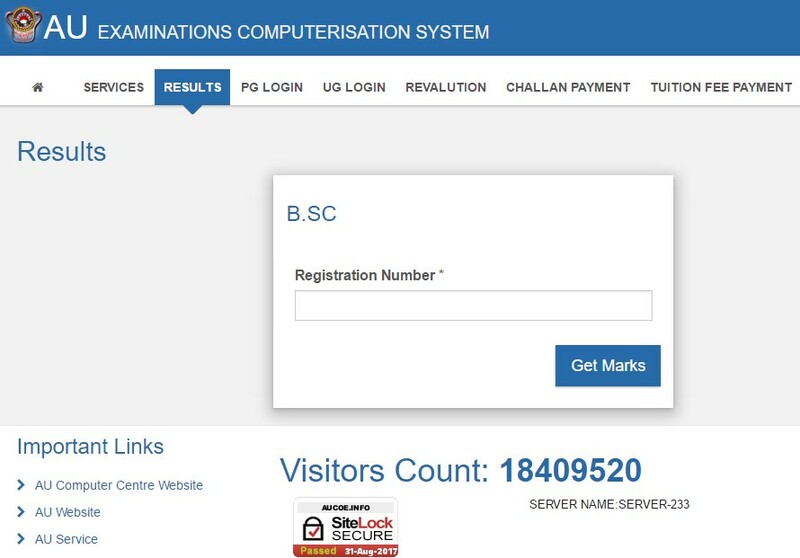 So, we requested to all the students those who had appeared on this written exam can check their result on official website. For those who all not satisfied with their results can apply for the revaluation or recounting. The university has declared the Second Semester B.SC., (Choice Based Credit System) Degree examination which held in May 2017 for the Batch of 2016 on August 28th Monday. Also, the university declared the B.Pharmacy 1st and 2nd semester instant examination results 2017 on the same date of August 28. Then click on Result Tab from the homepage. The list of last ten exam results will appear on the screen. In that list, the first link is about BSc 4th Semester results. Now, click on ‘Get Result’ button. The result will appear on the new window. Check the results and save as PDF on your device for the further reference. It is safe to take a print out.